Below are the latest planning applications received by the York Council for the Westfield ward. 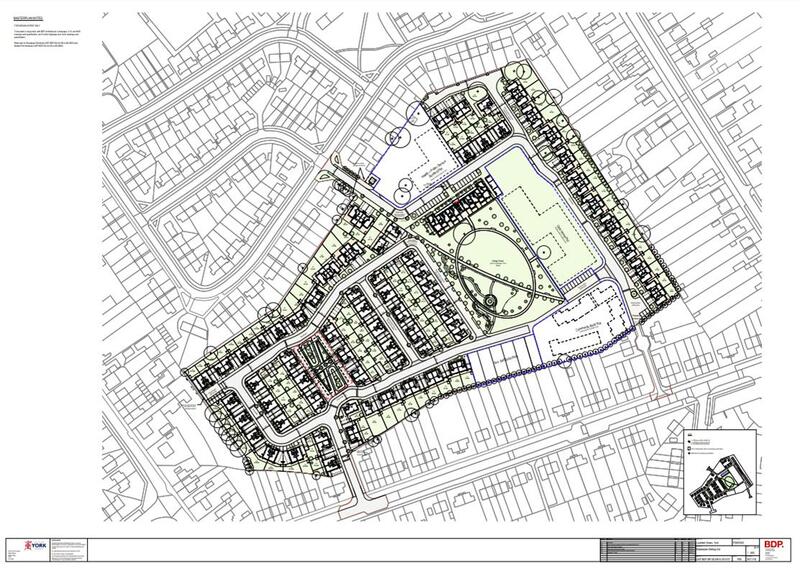 The applications include changes to the layout and mix of properties at the major development site at Lowfields school. 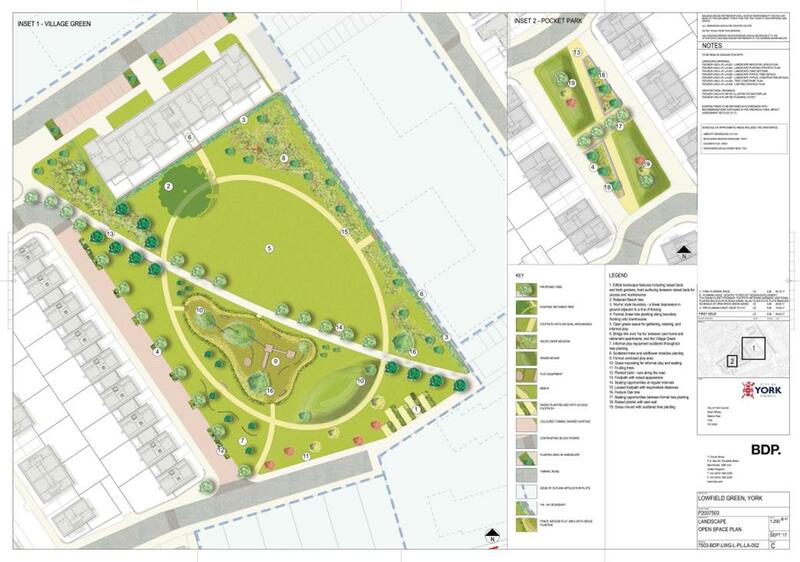 It includes details of the “village green” layout and the features to be incorporated there. It also raises the height of the houses at ground to “avoid flooding”. Most of the buildings now incorporate Photovoltaic Cells on their roofs. Non-material amendment to planning permission Ref: 17/02428/FULM – Changes to bedrooms, house types, elevations, PV, masterplan, FFL’s, Village Green and boundary treatments.